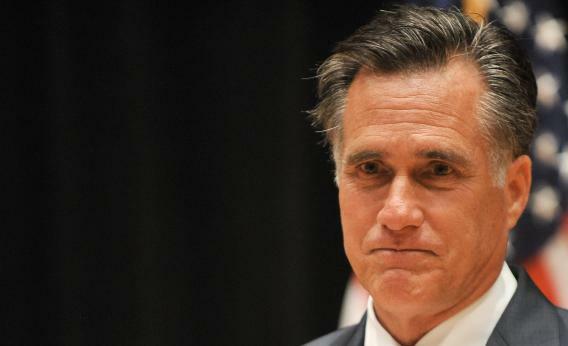 Mitt Romney's 47 percent comments: the right defends with lazy black women stereotypes. Kerry, you’re absolutely right that Romney’s what-he-thought-were-private remarks are standard right wing talking points. Calling the people who clean up after you and process your food leeches is just how you get in with rich conservatives, much like how you establish your indie record store bona fides by talking about the latest Ty Segall album. Romney’s enthusiasm for dissing the working poor may have been insincere, but either way, the base believes this nonsense, and thus the conservative media is kicking into gear defending him. Which means dragging out vicious stereotypes of black women. Jim Geraghty kicked off the race-baiting fun at the National Review Online, posting this video as proof that Republicans aren’t wrong to imagine that Obama voters are lazy and entitled. Geraghty is relying on his readers to be too lazy (oh, irony) to actually sit through all 26 seconds of this 2008 clip to see if Peggy Joseph actually did say, as the video title claims, “Obama is going to pay for my gas and mortgage! !” I’m sure you’ll be surprised to know that she did not actually say that, but instead said, “I won’t have to worry about putting gas in my car, won’t have to worry about paying my mortgage. You know, if I help him, he’s going to help me.” So, a fairly bland example of a voter with high hopes of a better future projecting those hopes onto a candidate. One could easily imagine a white Tea Party rallier expressing the same hopes about Romney. The belief that your candidate is going to fix the economy and create employment opportunities that relieve your financial concerns makes you, at worst, someone who gets overly excited at political rallies. Geraghty relies on the assumption that his audience will come at this clip already thinking the worst of Joseph because she’s female, black, and a mother. The rest of his post only makes sense if you assume that the working poor are stupid, grasping people. He describes not one but two ugly hoaxes in which people were told that they were going to be eligible for government programs to pay for utility bills or housing. Geraghty’s takeaway? This sort of scam only works if there is a significant pool of people who find it completely plausible that the federal government, and this president, would pay their utility bill for them. For those of us who haven’t been swimming in this kind of bigotry day in and out, these stories provoke sympathy for the victims and outrage at the hoaxsters, who exploit people’s financial desperation. For Geraghty, his readers, and all the wealthy people encouraging Romney’s rant against the other half, these stories are examples of how the working poor have it too good. Apparently, they need to suffer until they give up hope entirely.